Service members and their families stationed at Fort Leonard Wood, Missouri, one of the largest training bases for the U.S. Army, received a special visit this week from Michelle Obama, Dr. Jill Biden and Astronaut Mark Kelly. 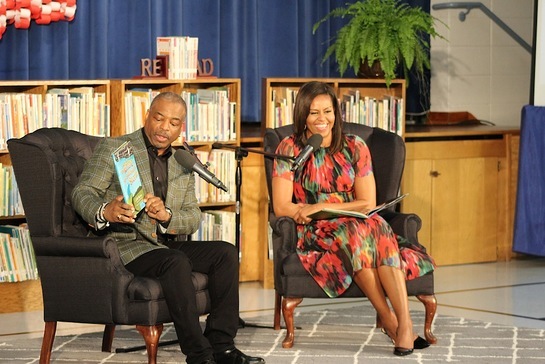 LeVar Burton and First Lady Michelle Obama during the Joining Forces Event at Thayer Elementary School at Fort Leonard Wood, MO. Credit/Copyright: Jane Wolfe, RRKidz, Inc. They were joined by lifelong literacy advocate LeVar Burton, the host of Reading Rainbow, for a story time event for students on-base at Thayer Elementary School. The event was part of the White House’s Joining Forces initiative. Celebrating its 5th anniversary, the initiative works to ensure that service members, veterans, and their families have the tools they need to succeed throughout their lives. Obama, Biden, Kelly and Burton read two books to the audience of students, teachers, and administrators: Burton’s own The Rhino Who Swallowed A Storm and Kelly’s Mousetronaut. After the event concluded, Burton’s RRKIDZ, home of the beloved children’s brand, Reading Rainbow, also donated a Skybrary School subscription for the entire Thayer Elementary School, as well as copies of all the books read that day for the Thayer library. RRKIDZ has already donated Skybrary School to more than 6000 classrooms in need and has plans to donate thousands more. Additionally, RRKIDZ will be working with Joining Forces to find additional avenues to support military families nationwide. Skybrary School offers a rich multimedia resource filled with close to 1,000 fiction and non-fiction books, newly produced video field trips hosted by LeVar Burton, and standards aligned themed lesson plans developed by educational specialists. For additional information on Skybrary School and Reading Rainbow, please visit www.ReadingRainbow.com. 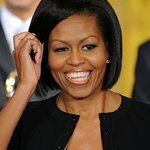 And, to learn more about Joining Forces please visit www.whitehouse.gov/joiningforces.